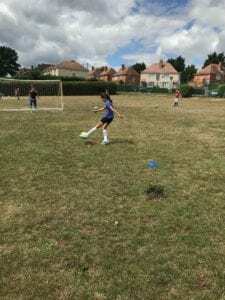 AJB Sports in Education are able to provide two unique and specific types of after school club dependant on your needs; Football Specific After School Clubs and Multi Sports After School Clubs. Our Football Specific After School Clubs improve your child’s football skills by keeping it simple: we believe children learn better through having fun and being creative. At AJB Sports in Education we foster an environment where children can express themselves creatively and enjoy playing the sport, before worrying about competition and the pressure of competing. This approach has constantly shown us the best results in a players level of performance and improvements made to their game. After all, if they are not having fun they will not want to play! AJB Sports in Education’s coaches have a wealth of experience and qualifications gained through their work both in the UK and the USA. Our carefully created curriculum of skill and fun based games will ensure that your child leaves with a big smile on their face and a notable improvement in their level of skill and understanding of the game. While your child enjoys emulating their footballing heroes through the many fun and challenging games, they will be learning the valuable foundations of the game including: dribbling, passing, shooting and the subtleties of tactics and finding space. We also highly value the skill of creativity here at AJB Sports in Education. We love nothing more than an elaborate piece of skill or independent thinking to enhance a child’s skill set and will do everything to encourage this inventiveness both on and off the pitch. During our Football Specific After School Clubs, not only will your child’s footballing skills develop, but they will also gain further experience and improve their social, leadership, teamwork and life skills in the process. With our Multi Sports After School Clubs, your child will be able to experience and enjoy a wide range of sports throughout the school year, including Football, Badminton, Athletics, Softball, Cricket, Dance, Tag Rugby and Tennis. 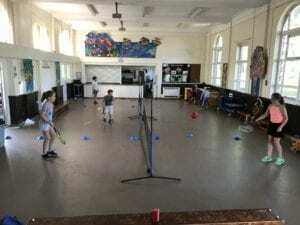 We also combine these more traditional sports with other fun activities and games, such as Capture the Flag, Rob the Bank and various Parachute games. In addition to these games, we regularly promote creativity in the children by asking them to design and implement their own games. They are encouraged to take ideas from their favourite video games, television shows or internet trends in order to transfer them into interactive, creative and imaginative games. We love to see children using their imagination to come up with unique and inventive games, and then build on their leadership and cooperative skills to explain to the group how to implement and play their game. All of these sports and activities help to develop your child’s fundamental movement skills, including agility, balance and co-ordination. We then incorporate these skills into more sport specific movements, including throwing and catching, kicking and striking, jumping and skipping. It is important to learn these fundamentals of movement and sport during this vital period of development as it helps children grow through all aspects of their life. 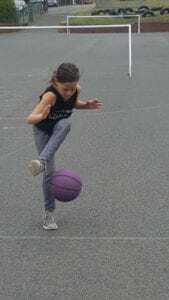 By providing your child with this base of fundamental movement skills, they are able to go on to enjoy a life long love of sport that isn’t limited or tailored to just one specific sport. As I’m sure many of us have experienced, who knows what we will end up having a passion for in later life. For more Information or to request one of our energetic, enthusiastic and highly qualified AJB Sports in Education staff members for your school, please either call 07482 189 980 or email [email protected].